Glad to be part of the team. Thanks for having me. Updated with improved CoC and further imagery. Looking towards havin lots of fun. I am stoked. Cant wait to slaughter our enemies like they're meat for us to feast on. Hello all you chain mail necks. This is Bartholomew Drake. Your newest civilian militia member. 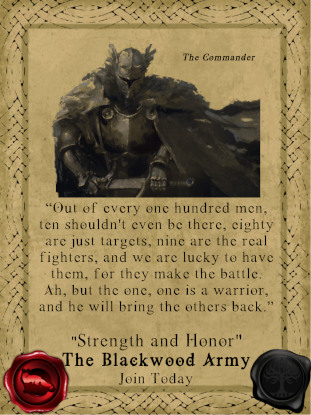 I just wanted to say hello to those willing to protect our kingdom. I may not have the dedication of enlisting like you have but my Brudvir recon experience will be protecting your flanks. May your sword stay as sharp as your mind. 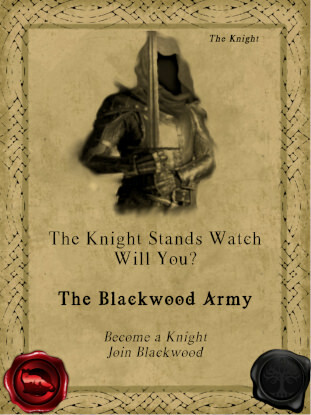 Still looking for new members! Join us today! We are in the process of allowing application for Military Affiliates. This is an offer for our military to become supplied by your business, offering military contracts for your organization to fulfil. 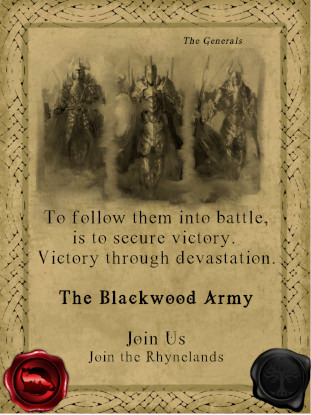 If you are interested, contact General Jackal Blackwood or myself in the Blackwood Discord. 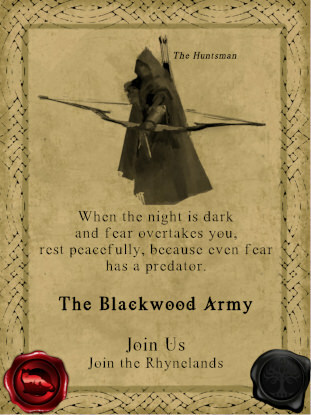 We are still looking for those that would like to join our ranks. This being both Combat, Combat Reserves, Civilian Combat and Support. We have many options to choose from and we offer them all to you, our community and our Dutchy. If you have any questions, please, join our Discord and ask away! Good looks, boys. Let's do this.